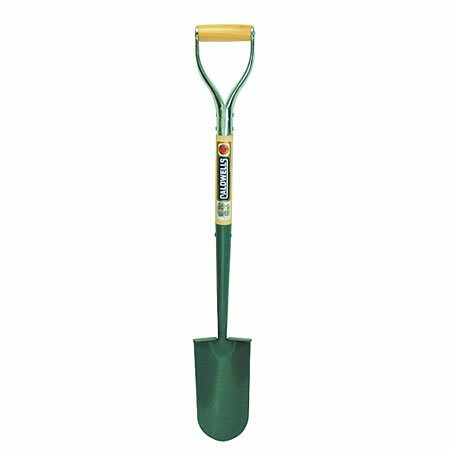 Designed with a narrow curved blade for digging in confined spaces, this superb quality spade is particularly good for digging planting holes, and for creating narrow trenches in the vegetable garden. It has a solid forged carbon steel head with welded digging treads, an ash shaft and strong metal bound handle. Length 99cm (40").